Jordan tours- Explore with us the true and untainted beauty of Jordan, by Jeep, Camel or Hiking tours or, if you wish, a taste of each. We encourage visitors of the day tour to Petra to spend an additional night in Aqaba before their tour. Apart from the $60 savings at Petra, people staying two nights also get the $60 visa for free. On top of that hotels in Aqaba are cheaper than those in Eilat and the later morning pickup times mean guests get to enjoy breakfast in their hotel before the tour begins. 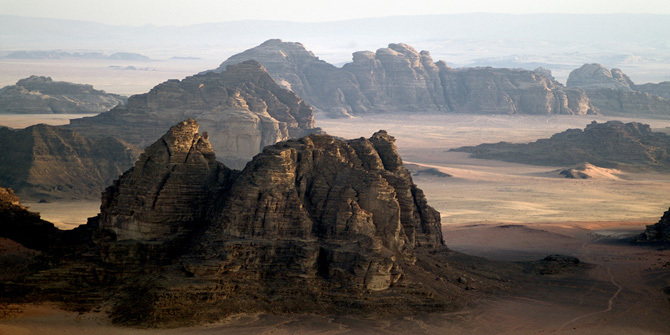 Jordan - Established in 1922 Jordan was declared an independent state in 1946, it is a small country and has almost no natural resources apart from the Dead Sea, so almost 80% of the land remains entirely unpopulated. Of its total population of 5,000,000 some 40% live in the capital, Amman. Jordan is rich in history, its three most eminent periods were, the Middle Bronze Age, the Iron Age (1000BC) and the Hellenic Period. Its most prestigious of treasures is the mystical and legendary Nabatean city of Petra, carved 2000 years ago from the Red Sandstone Mountains, it is considered to be one of the wonders of the world. Petra is an essential part of all tours to Jordan. 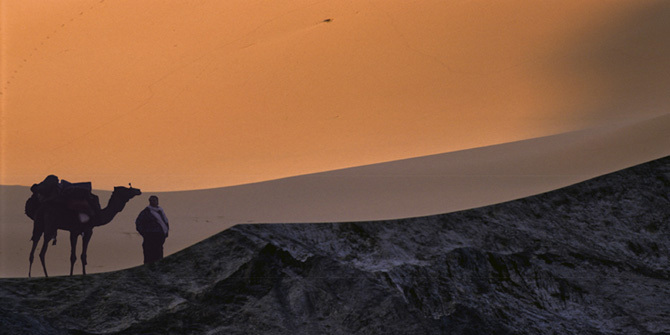 The dramatically diverse nature includes the stunning Wadi Rum. 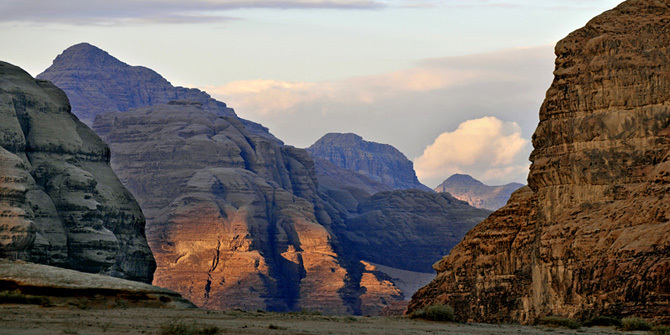 The incredible Edom Mountains where Red Granite peaks tower nearly 2000 meters over the sandy valleys at their feet. 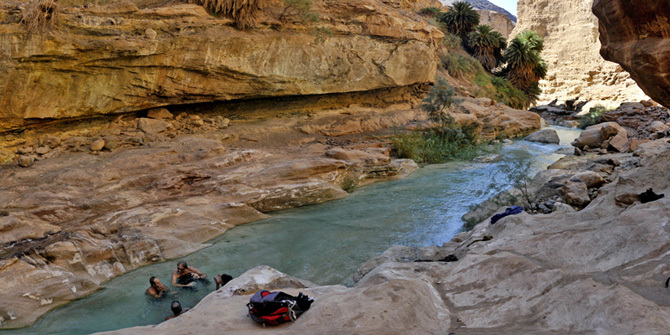 The awesome semi-tropic canyons where warm spring water flows year-round through the stark canyon walls, eroding the rock and nourishing the vegetation, before reaching its final destination the Dead Sea. 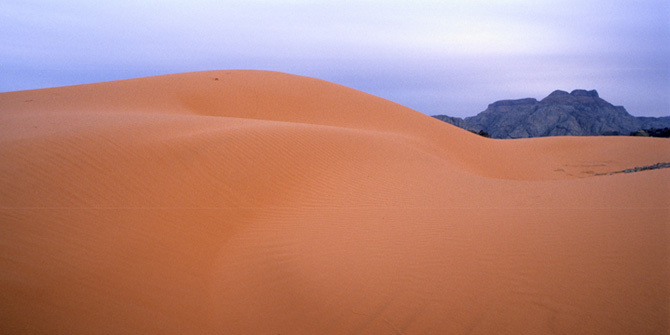 Desert Eco Tours tread new paths, to explore the unexplored. 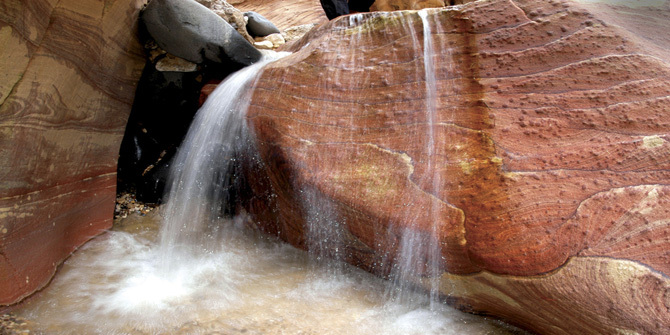 Discover the depths of Jordan's beauty from spectacular mountain peaks to warm thermal streams flowing in pristine gorges. Don't expect to find modern amenities in the heart of the desert. If you require hotel or modern camp facilities we'll design a tour that best suits your needs. 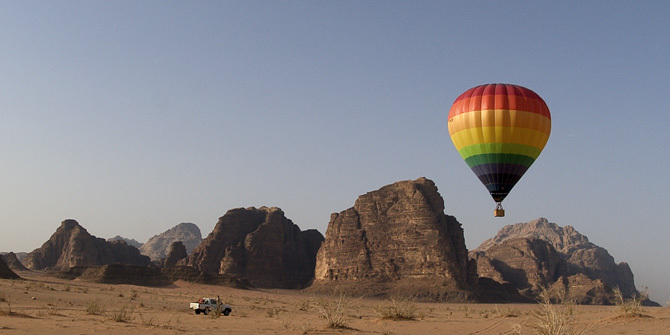 Read what our clients had to say about their tours in Jordan and the desert experience with us. Prices of Jordan tours do not include Visa to Jordan, Border taxes or visas for Jordan, which together is $62 per person with the tips. It is customary to tip in Jordan, we recommend a total tip of $6 per person per day to be shared by the Jordanian personnel.